With 2017 drawing to a close it is time to take a look back and reflect on all that has transpired over the course of the past year. I want to begin by letting you know how grateful I am to everyone who read Misty Phillip: By His Grace, this past year and especially to everyone who commented, shared, and followed By His Grace. You are the reason that I continue to share my heart and my life online! 2017 was an exciting year on the By His Grace blog! Visitors this year came from all 50 states across the United States and from many places around the world to read the 62 published posts. Through my partnership with the Blog About Network, author friends, and book launch teams I was able to share and giveaway many great books. I enjoyed writing for and partnering with Philanthropy and had the incredible opportunity to share part of my testimony on the My Journey of Faith Podcast. Many friends and neighbors were devasted by Hurricane Harvey but we learned many Lessons from Hurricane Harvey like in true Texas style everyone came out to support and love their neighbors and do what they could to help one another! We continue to be blessed by being a part of Champion Forest Baptist Church, and the Biblical-Literacy class where I enjoyed the privilege of writing the prayer points for our life group. My first e-book was published through By His Grace and given away for free to blog subscribers, and I continued to write and edit my first Bible Study, and craft a book proposal all while homeschooling my boys, running a household, doing life and planning a wedding. My first born son moved out, graduated from college and got married. At home, I planned several birthday parties and other large gatherings in our house, including opening our home on Thanksgiving to families affected by Hurricane Harvey and those who might otherwise be alone. I loved hosting my mastermind group and collaborating with other local authors and bloggers and seeing God move in our midst. Other highlights of my year also included modeling for a fashion video with Fashion Meets Faith, traveling to San Jose, California with my husband for the Apple Conference, and a much-needed vacation with my boys to North Carolina, and Tennesse where we visited with dear friends. We also explored the Charlotte area including a visit to my cousin’s organic farm, Elevation worship, and the Billy Graham library. We absolutely loved visiting Asheville, NC, the Biltmore Mansion, touring Nashville and the smoky mountains. Watching the Astros win the World Series was really fun and a great morale boost for Houston! What an amazing year! I love watching the hand of God work in the life of my family and others this year. So without further ado, I give you the top ten blog posts from Misty Phillip – By His Grace. 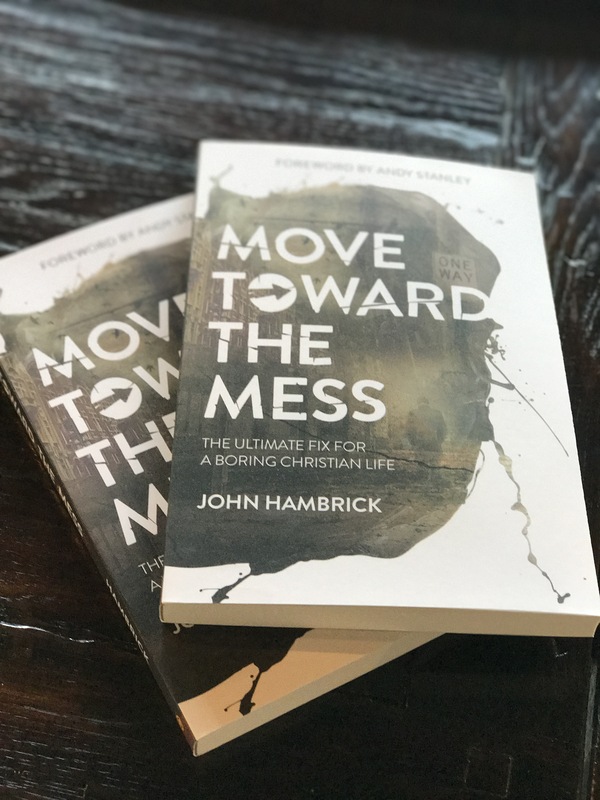 In January I shared the book Move Toward the Mess: The Ultimate Fix for a Boring Christian Life and simultaneously God orchestrated a service day to a local soup kitchen in Downtown Houston called Loaves and Fishes. This was a life-changing experience for me. There are so many lost and hurting people in this world that need hope, and the good news of Jesus Christ, and if we are willing to leave our comfort zones God will take us on the ride of a lifetime! My eldest son graduated from college this year. As a parent, my greatest joy is to know that my boys are walking with the Lord, and everything else is just icing on the cake. In this post, I challenge my son to seek wisdom and to love the Lord God with all his heart and to love others. No matter where the road of life takes him, I wanted him to know that he is never alone that God Loves him and that He will never leave my son or forsake him. This post tells the amazing story of my friend who passionately loves Jesus and didn’t come to know him until adulthood. She wondered how she could have lived her whole life not knowing him, and why no one had ever shared the gospel message with her. What a beautiful reminder to us to share the good news with others. This show wrecks me everytime I watch it! I was hooked from the very first episode. In this post, I share one of the most painful moments in my life and relate it to the show This is Us. Life is uncertain, but your life is what you make of it. So if life gives you lemons, make lemonade! I love that this post made it into the top ten! I didn’t write this post, it was a guest post from my younger sister in Christ Shelby, that she wrote for my blog after a conversation we had about reaching millennials with the gospel. The Fear of the Lord is a post that I wrote for the Philanthropy Fashion Blog. Based on the scripture in Proverbs 31. I immediately fell in love with the store in Market Square in the Woodlands called Philanthropy and couldn’t wait to tell all of my friends about it! The local owners Jackie and Christine Battle love the Lord and use their store to share the love of Christ with others. If you missed this post be sure to check it out and see why I love it so much! In this post, I share some personal struggles from the early years of my marriage and share Jen Weaver fantastic book on biblical marriage. This is the post that I wrote for Jen Weaver’s writing contest. This was the # 1 post on By His Grace this year by a landslide! I think it resonates with people because we have all been hurt by others. This was written after a time of deep hurt and betrayal in my life, but after much prayer, this is how God showed me to bring resolution to my situation. Well thats a wrap for 2017. Blessings to you as you plan, pray and prepare for 2018. May we all seek to love the Lord and others more, and grow in grace in the New Year! God’s faithfulness is amazing. Thank you for sharing your top ten with us. Thank you! Blessings to you in the New Year!! Hi Misty. I’m your neighbor on the Coffee for Your Heart linkup and was so excited for you when I read how God is reaching others through you. May He continue to bless your ministry and your family. Hi! Tammy, Thanks so much for stopping by today and for your kind words of blessings! Happy New Year and blessings to you and your ministry in 2018 and beyond. ? Sounds like an awesome year for you! I will have to come back and read the individual posts; it looks like you have a wealth of good info here! Thanks so much! Have a blessed New Year!! !